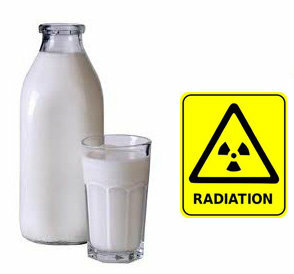 An Associated Press report found Strontium 90 levels in commercial milk to be over both the Belarus and Russian limits allowed in food. The milk sample came from a farm that supplies milk for a popular cheese product in the region. That farm is located outside the Chernobyl evacuation zones yet still has radiation levels in the milk so high they exceed government restrictions. When the AP reporters looked further they found no functional system to actually screen food products and nobody in in the govt. or the dairy system who was willing do anything when alerted to the finding.